Pre-heat oven to 375°F Lightly grease cookie sheets. Combine dry ingredients, set aside. In a large bowl, cream the butter and sugars together. Beat in the eggs, one at a time, stir in the vanilla. Stir in the dry ingredients until well mixed then stir in the chocolate chips, coconut and almonds. 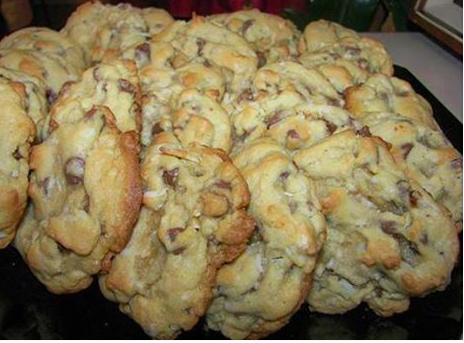 Drop by rounded tablespoonfuls onto the prepared cookie sheets. Bake for 8 to 10 minutes. Cool on baking sheet for 5 minutes before removing to a wire rack to cool completely. I thought That this was beautiful and what Xmas is all about. Giving and giving joy and surprises . 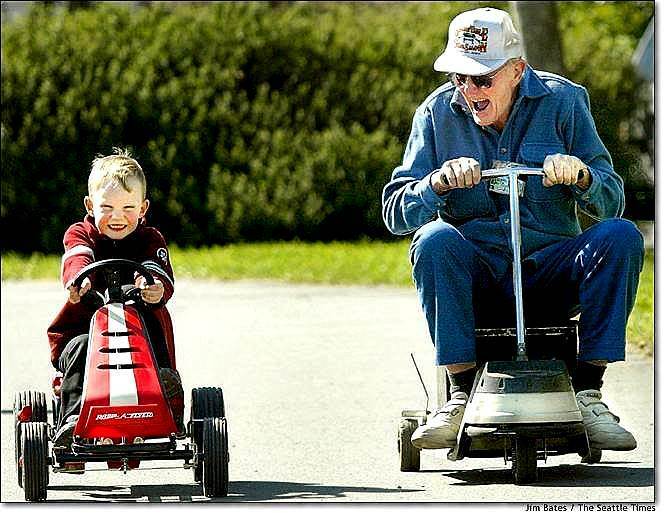 That is the good thing about ‘Granddads’ you know they are going to let you win and get great joy seeing that wonderful smile on your face.